Is Skeeter a Dead Fraggle? 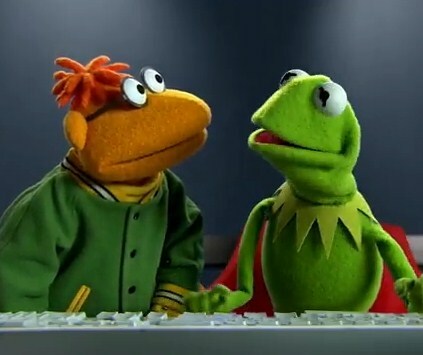 If you’re a child of the 80’s like myself, you probably grew up with the Jim Henson’s Muppets. In a recent debate with friends a question came up. What hell ever happened to Scooter’s twin sister, Skeeter? After Muppet Babies ended, Skeeter was never heard from again. There are rumors aplenty about her fate. The official report from Henson studios is that Skeeter went off adventuring in the Amazon and hasn’t been heard from since. 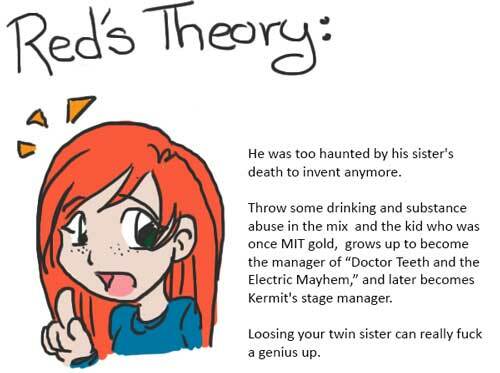 Red is convinced that Scooter accidentally killed his sister with one of his inventions. And that’s the REAL reason he stopped being a tech genius. I think she went searching for her hippy parents that left her and Scooter on Nanny’s doorstep all those years ago. 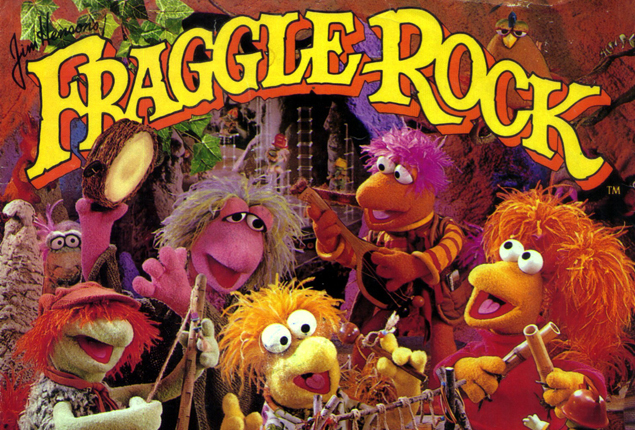 That’s when she stumbled upon Fraggle Rock. I mean come on, Skeeter and Scooter DO look like Fraggles. Fast forward 15 years and that Muppet Baby turned into this! 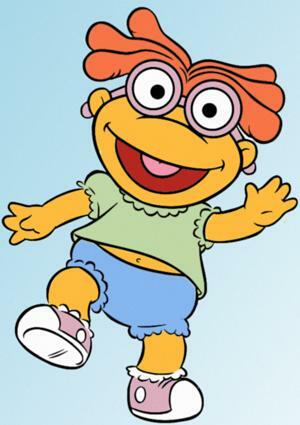 Skeeter ditched the nerdy glasses and changed her name to Red Fraggle. Blah, blah happy ever after, the end. …Or Miss Piggy is a psycho killer and murdered her in a fit of rage over Kermit. …Or witness protection has her. Skeeter is totally a Fraggle. This entry was posted in Art, Geekery, Random Crap. Bookmark the permalink.